Spinach contains many benefits to our health, offers an important contribution of fiber that helps regulate intestinal transit and control levels of cholesterol and blood sugar, as well as provide antioxidants and help to quickly satisfy appetite without adding many calories. But as with many fruits and vegetables, to take advantage of its benefits it is best to eat raw. If you don’t know how to do it, at Dinzie we give you some options to discover how to eat raw spinach and enjoy them to the fullest. 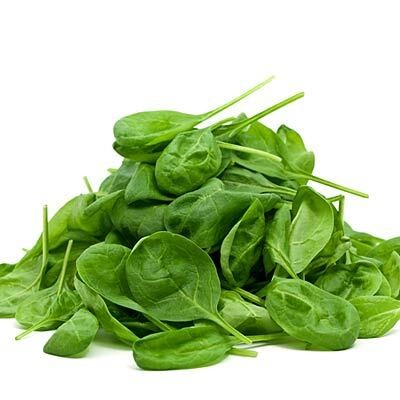 As it is the case with any other vegetable, wash the spinach leaves properly before eating them raw. It is crucial to make sure our health and prevent the spread of stomach infections. The best thing is to buy spinach that already comes washed and ready to eat, but if you prefer to do it at home then you will have to start by cutting the stems and remove the soil. Let the spinach in a bowl of water and a little vinegar for 5 minutes, then drain, rinse again and then you can eat it. Baby spinach is the best choice to consume raw because their leaves are small and tender, delicious. 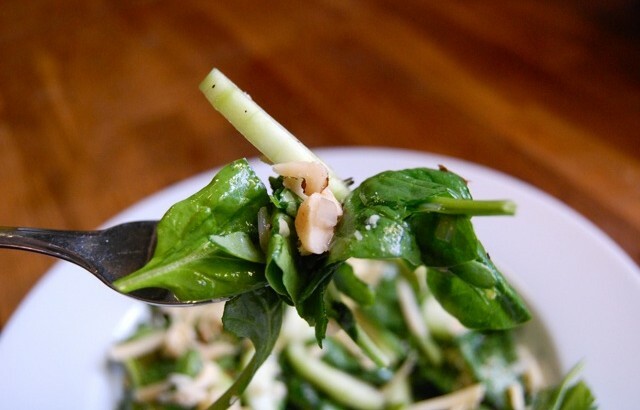 One of the most classic and delicious ways of eating spinach is raw in a salad. This plant can replace or go with the lettuce, giving it a gourmet touch. In addition it will leave you more satisfied because of its high fiber content. You can also add pasta, making this alternative a more complete meal. 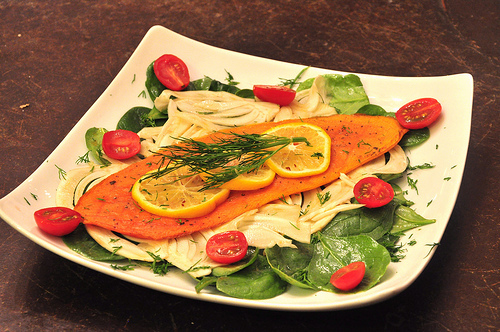 Eat raw spinach salad to take advantage of all its benefits, yet it is not the only possible alternative. This plant is widely used to prepare juices for all conditions: purifying, anti-stress or as the protagonist of the popular green juices.